How Does Category One Water Differ From the Other Types? All types of waters causing damage to your commercial building are not created equal. All types of waters causing damage to your commercial building are not created equal. In fact, the differences in the liquids can be difficult to detect, so restoration industry professionals have established three categories. Be careful, though; to differentiate the clean water from the contaminated water may require a professional evaluation prior to cleanup. Here are the differences in each category. Water in category one is most often the result of a broken water supply line inside your building and is considered clean. You can frequently tell that this water is clear and has come straight out of the broken pipe simply by looking. You won’t find bubbles, cloudy areas, or dark patches in the water. However, if the category one water is allowed to sit for more than 24 hours, it then changes classifications and becomes category two water due to a possible mold or microbe infestation. Water damage caused by category two flooding is considered gray water damage. Although it may often look like the clean water found in category one, this type of liquid typically contains chemicals, soaps, or dirt from baths and appliances. A category two water event does not contain any solid waste, but the area still requires disinfecting. Category three, or black water, is considered to be highly contaminated and therefore, holds the greatest possibility of serious heath risks. This liquid often comes from toilets, sewers, flooding, or heavy storms. Water damage cleanup and remediation teams wear protective clothing when dealing with this type of water. Disinfection of the area is a must after this liquid has invaded the building. Floodwaters can bring any of these three types of water into your commercial building in Oakville, MO and knowing what category you are dealing with can be central to the way the area is cleaned. If you aren’t sure if you have clean water, be safe and call in a team of water remediation experts. Given the right conditions, it is possible for mold to spread quite a bit in just a short amount of time. It’s a common problem. You smell something musty in your business’s Oakville, MO building, but you just can’t figure out where it’s coming from. The likely culprit is mold. In some cases, you will be able to smell the fungus growth before you can see it. Here are a few reasons why you might have that musty mold smell in your office building. Some species of mold produce toxic substances called mycotoxins. 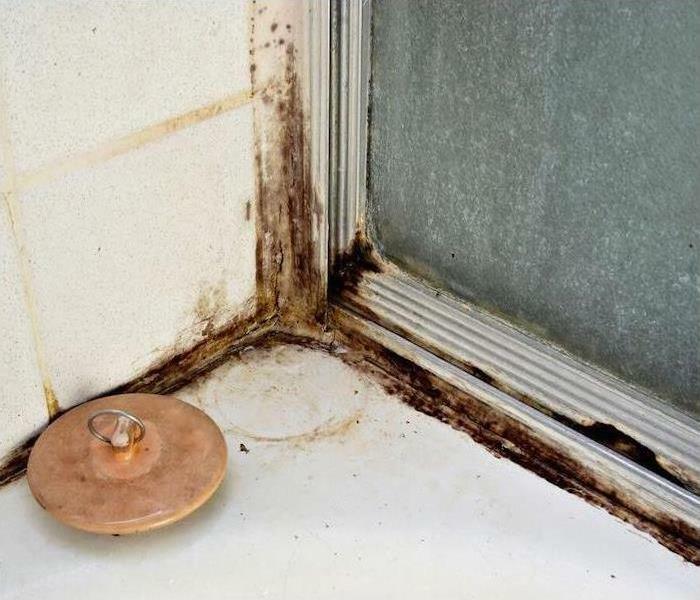 When the mold grows, it releases these toxins which begin to produce an odor. If you have a mildew smell in your building, but you cannot find the source, it can be a good idea to hire a professional mold remediation specialist. They can use a thermal camera to locate sources of moisture where a growth has likely formed. In many cases, you will have a mold smell without any visible mold damage because it is growing in a hidden area. This will often be inside of walls or underneath flooring. If there are cracks in the building’s exterior, water from storms can enter these areas and allow a mold growth to form. Given the right conditions, it is possible for mold to spread quite a bit in just a short amount of time. You might find that an infestation has appeared overnight. 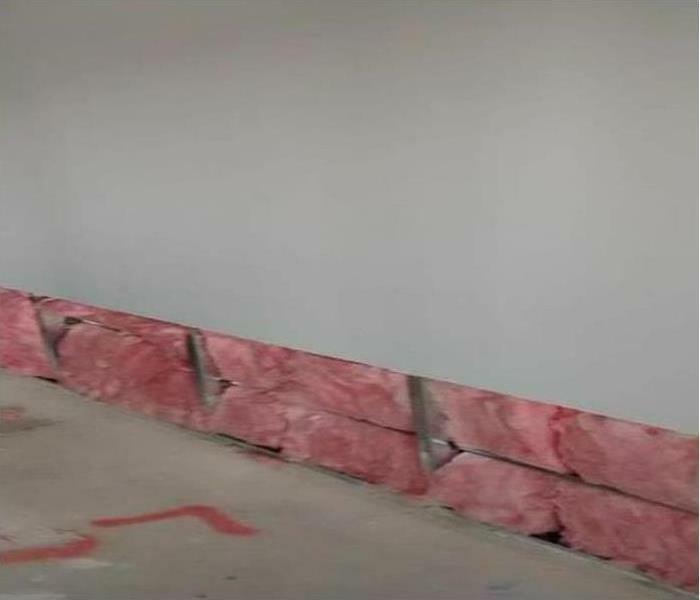 If the fungus smell in your building is overwhelming, you most likely have a large growth that will need to be removed as soon as possible to prevent extensive damage. The best way to keep mold, and the subsequent mold smell, out of your building is to perform regular maintenance to check for cracks or leaks. These can result in an excess of moisture that makes it easy for mold infestations to form. If you do notice a smell, have an inspection done as soon as you can to prevent the problem from worsening. It’s possible you may already know, but the Thole and Lang family SERVPRO’s just added an accomplished member to the team. Kelly Kordick, of Iowa and Arizona fame, is joining the team as our Manager of Marketing. Kelly comes with 9 years of experience from an Arizona SERVPRO where she was a meaningful and important part of that team. During her years in Arizona Kelly established herself as a professional and a major team contributor. Everything that Kelly has accomplished she’s earned herself. 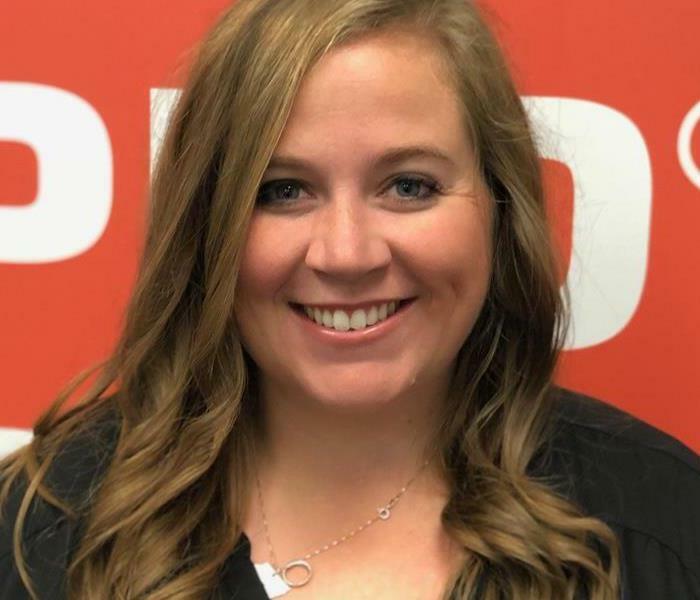 She started in the SERVPRO world as a SMR and over time worked herself into the Sales and Marketing Manager role where she continued to thrive. She has substantial experience in Storm response having been a Storm Team estimator for multiple disasters including Hurricane Sandy and the 2016 Boulder Floods. Kelly brings a lot to the table and has the skills and that certain “know-how” to help our franchises reach greater heights of success — in other words, 2019 is going to be a good year. We are proud and excited to have Kelly on the team and we are looking forward to what the future brings. Thanks for joining me in welcoming Kelly to the team. If you like helping people, find a SERVPRO franchise and become one of the good guys that saves homes after a catastrophe. 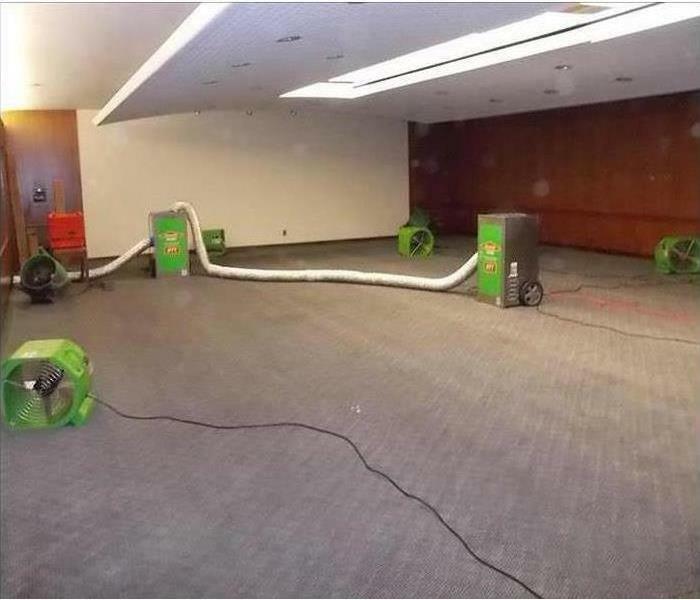 There are many disaster remediation companies throughout the United States, but what other companies may be missing is the stanch and stalwart reputation SERVPRO has built up over the years. As the top-rated restoration and cleanup industry for the past decade, the insurance industry has come to rely on each local SERVPRO franchise to help with both flood disaster relief, and home water and mold remediation in Oakville, MO. Here are three reasons to join SERVPRO today. Although each of the franchises is locally owned, the brand name is nationally recognized as a water, flood, and mold remediation service that can be relied upon at a moment’s notice. Consumers could select any of the restoration companies, but when disaster strikes, it is SERVPRO the customer calls for help. That means when you join the company team, you already have a reputation for service at a fair price working for you. SERVPRO’s technicians are not only available for 24-hour emergency service, but they are also certified by one of the industry’s most stringent regulators, the IICRC. Trained in the lasted technology, they are leaders in the restoration field. You know the name, why not join the team? Join the other franchises and let your crew provide peace of mind as they restore life in the midst of a disaster. If you like helping people, find a SERVPRO franchise and become one of the good guys that saves homes after a catastrophe. 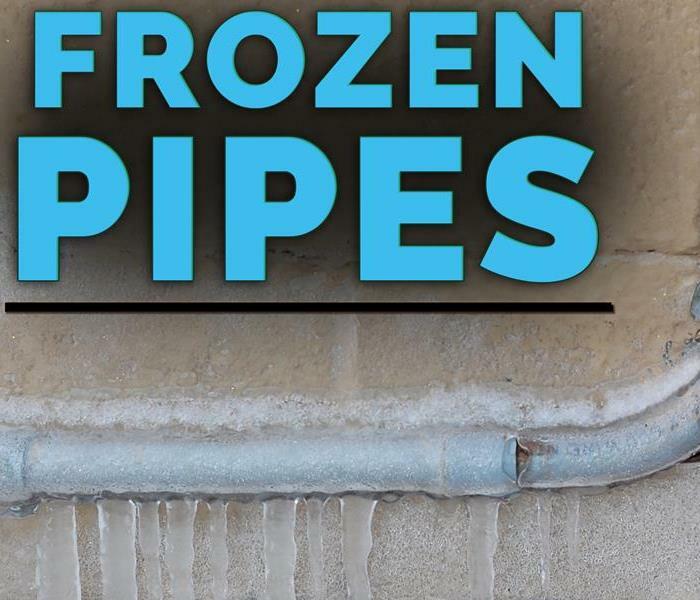 There are a few pipe freeze prevention steps you can take to keep your home safe during the colder weather. Due to the cold temperatures in Oakville, MO pipe freeze prevention can be important for your home. These four tips are often recommended to help prevent water damage to your plumbing. One often recommended step to prevent frozen pipes is to leave the faucet slightly open. Allowing water to drip keeps it in a moving state which may make it more difficult to freeze. In the event the water does freeze, having a slightly open faucet will also give water a place to go as it expands, potentially preventing a burst pipe. Another often used step in pipe freeze prevention includes insulating any pipes that me be at risk of colder temperatures. Pipes may still be able to freeze if the area outside is cold enough, however traveling through the installation may slow the process, and allow you to catch any potential problems in time. Many experts recommend keeping the temperature around at-risk pipes above freezing. This can help the water maintain its liquid state, and avoid potential problems. In many cases you may be able to turn off the water all together to unused portions of the home. This may include outdoor areas, or basements where the room temperature is difficult to control. If you do end up with a burst pipe then you can call a water damage restoration service to help with any repairs. There are a few pipe freeze prevention steps you can take to keep your home safe during the colder weather. They include leaving your faucet open, insulating at risk pipes, keeping your home temperature above freezing, and turning off water to any unneeded areas such as outside. If you to experience a pipe break or any water damage, a water restoration professional may be able to help. SERVPRO of Oakville/ Mehllville is excited to be a part of helping children in Kenya. Our owners, Kevin and Rachel Thole along with others decided to pursue buying land and constructing a building for 18 children. With this facility there are opportunities to provide ongoing support and resources. Visit https://www.servantunited.com/missions and learn how you can be a part of the mission to change lives and make an impact. What Types of Mold Grow in Your Home? Mold growth could show up in any home as long as the ideal environment exists. Whether your Bella Villa, MO home has survived several generations or is brand new, the potential for mold growth is real. The age of the home isn't a determining factor; instead you need to watch out for ideal environments in which moisture and nourishment are available. There are many sources of spores because mold exists everywhere, so it can be tracked into your home every time you enter. There are many types of mold that could appear in your home. The severity of risk is often dependent upon the type and extent of mold growth. When you find mold in your home, no matter what type it is, take immediate steps to correct the problem. If the affected area covers more than 10 feet or if you can smell the mold, contact a mold remediation professional right away. If the problem is very small, you could clean it up yourself, but make sure you have taken necessary steps to protect yourself from mold exposure. Mold growth could show up in any home as long as the ideal environment exists. Watch areas of high humidity vigilantly for early warning signs. If you have clients in the Lemay, MO, area who are dealing with storm or flood damage, a storm restoration specialist can help, especially one as qualified as SERVPRO. Many of your clients may require restoration services following a disaster, and it is important to deal with a company that delivers not only on quick response times but also corporate assistance with the claims process. However, response time and claims assistance are only a fraction of the services provided. Fundamental storm response must include mitigation practices to ensure that your client’s claim is not hung up on a technicality. Through board up, fencing and tarping services, your client’s property is protected from worsening existing damage as well as trespassers, animals and weather, ensuring a successful claim. 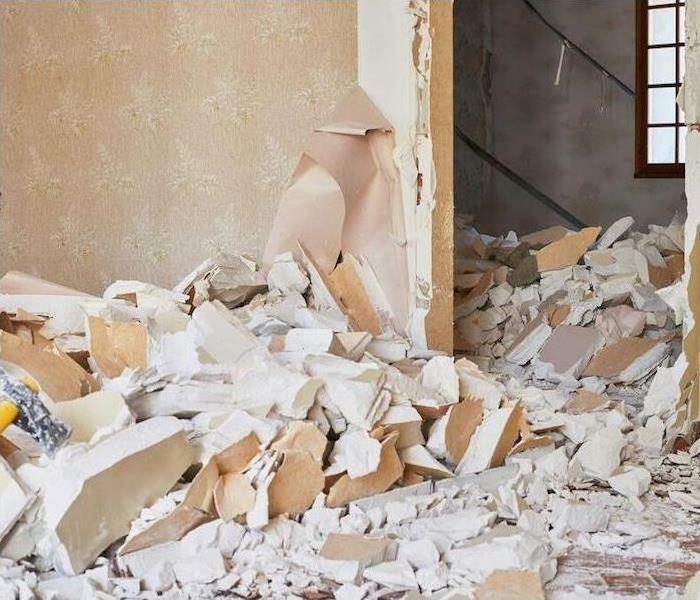 Before storm restoration and loss assessments can begin, it is necessary to clean out the home, ensuring that all damage is visible and known. It is not enough to remove excess water from flooding; debris must be removed and separated into actual rubbish and damaged insured items so that loss can be documented properly. Once proof of loss has been documented and all assessments and estimates approved, then it is time to move forward with the restoration work. This work may be extensive, requiring demolition and reconstruction, but in the end, your clients can return to their repaired home. Beyond the services offered to your client, it is essential that you have access to the progress of the work and the claim. For you to understand fully the work being proposed, you can access the Claims Information Center and review similar claims as well as the progress on your own. Storm restoration is a necessary solution to the misfortune severe weather can bring, and while it is your job as an insurance agent to help your clients rebuild through funding, it is the job of restoration companies, like SERVPRO, to restore the physical structure and help make the claims process as speedy as possible. You need a fire escape plan. 1. Make a plan that includes two ways to escape each room. 2. Practice your plan and go over some safety tips. 3. Designate a meet-up location and communication plan. In the case of a house fire, you and your family only have two minutes to get out. Your family’s best chance of survival is making a fire escape plan and practicing that plan. Your family needs two escape routes for every room because one path may be blocked by fire. Teach everyone to feel doors before opening them. If a door is hot, it’s time to use the second escape path. Tell your family that they’ll need to stay low, crawling quickly, to avoid heat and smoke. If someone is trapped in an upper-level room, teach that the window can be opened for breathing and used to send visual signals of their location. A flashlight or bright fabric in the window can let firefighters know where they are. 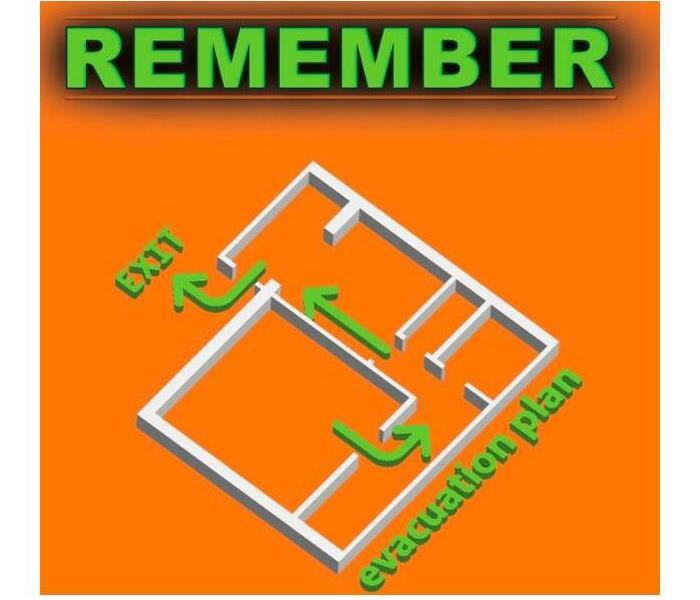 Your emergency escape plan should designate a meeting location. This location should be away from the house but within good visual sight so firefighters can see that everyone is out safely. You should also designate a method of communication that lets family members know you are safe. This could include the use of social media or designating a personal contact to call. Don’t worry about your home, it can be cleaned, restored and rebuilt with the help of professional fire restoration specialists. Focus your energy on this important preparation, a fire escape plan that will give your family the tools they need to escape a fire. 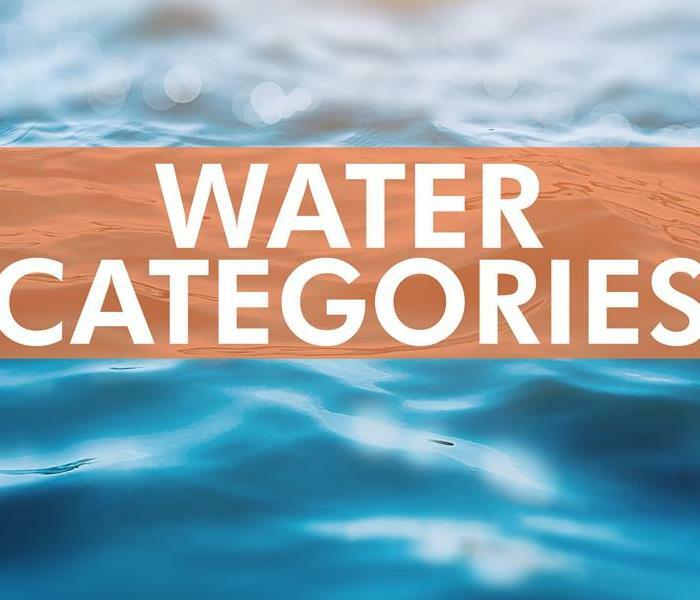 4/20/2019 - How Does Category One Water Differ From the Other Types? 4/11/2019 - Welcome to the Team, Kelly! 3/5/2019 - What Types of Mold Grow in Your Home?